Sign up and receive Property Email Alerts of Apartments to let in Point Waterfront, Point Waterfront. 2 Bedroom, 2 bathroom. Main en-suite with bath. Add. bathroom with shower. Sleeper couch in the lounge. 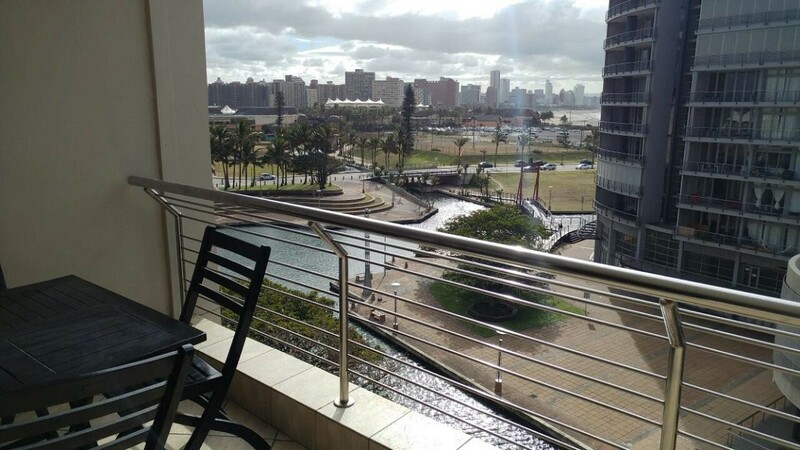 Open plan lounge and kitchen leading onto balcony with table and chairs, stunning views of the canal towards Ushaka Marine World. Secure parking. Entrance into building by security card. No Smoking Allowed. Toilet paper and black bags provided on arrival. We do not accept cheques. Rates quoted are per unit. There is a once off admin fee of R285.00 per apartment. Rates are subject to change without prior notice. Holiday Accommodation bookings are subject to availability and Point Waterfront Accommodation's Terms & Conditions. Sign-up and receive Property Email Alerts of Apartments to let in Point Waterfront, Point Waterfront.